Hi friends! 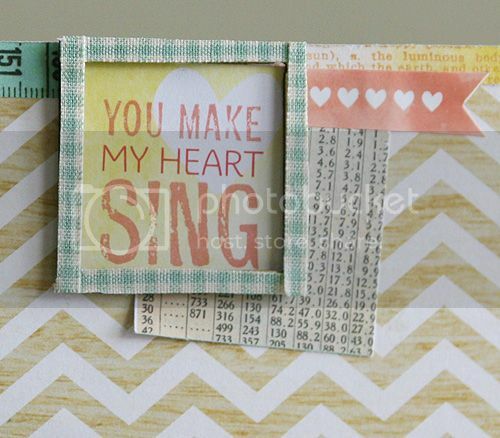 Today I have a layout that's up on the Love My Tapes blog. I used the sherbet mini check fabric tape along the border, and used it to cover the Studio Calico wood veneer frame. I love how the tape looks on the frame, and because the fabric tape is self adhesive, it was so easy! I just laid pieces of the tape all around the frame and cut off the excess. A perfect page accent! I love the pieces of scraps around the outside of the page. Like the poloroid look of the photo. Awesome page! 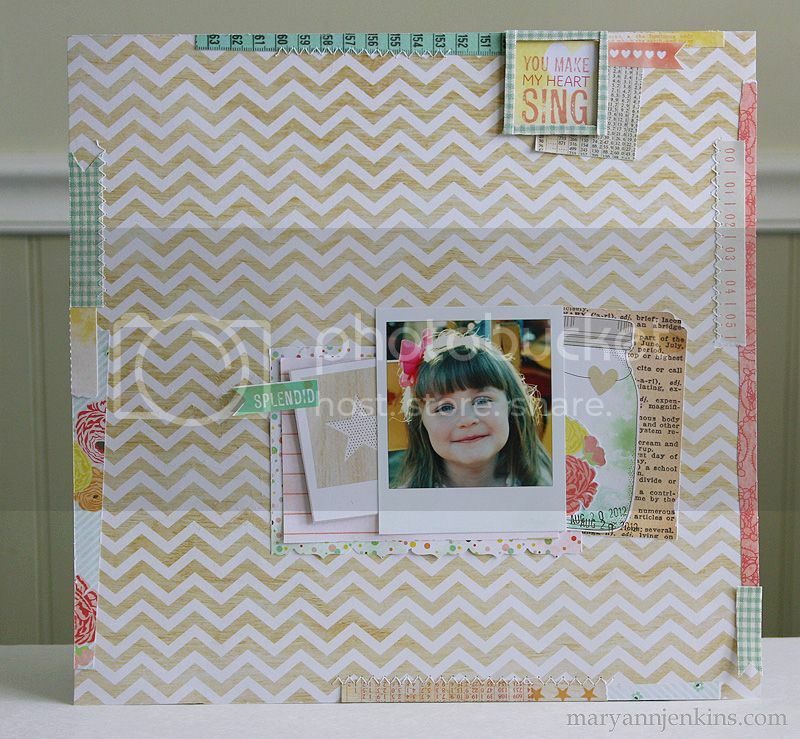 I love how you used the bits and pieces around the page, Mary Ann! Beautiful layout! Love the frame. Fabulous colors and design! I love the simplicity of this page. The pieces framing the layout are so pretty. I am going to give it a try. SUPER CUTE!!! This is wonderful! Ok, this is such a gorgeous layout! I love how you used the tape! Oh, what a beautiful page! Love it! Precious layout! Wonderful photo and embellishments. Such a pretty page! Love it! Gorgeous page-I love that tape-what a great color combo!! humm i love this paper's collection!! it's so cute, and you're layout is very very nice ! I tried commenting on this one yesterday Mary Ann, but I could never get it to load!!! So glad I came back today, to check it out, because it is awesome!! 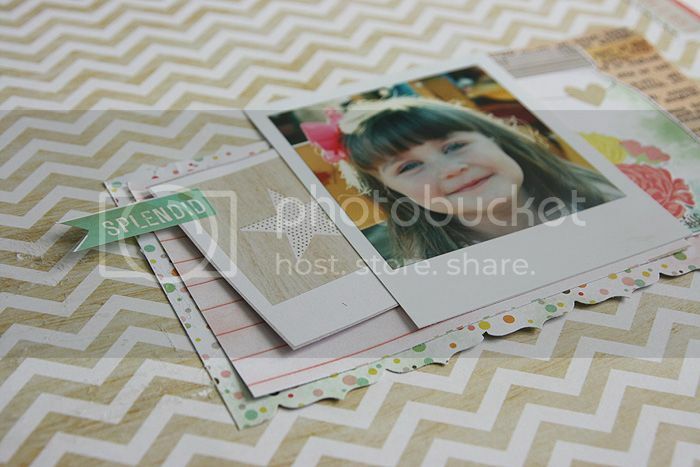 Love how you used the Everyday Eclectic and the chevron background is really fabulous! !